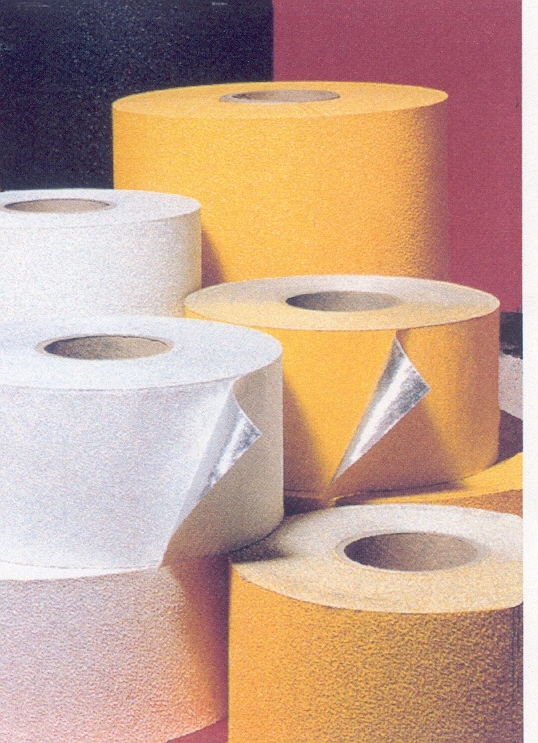 Temporary Tape | Alpine Products, Inc. This specification covers a self adhesive temporary pavement marking tape designed to provide reflective delineation to roads during asphalt overlay or new raod construction. the white or yellow pavement marking tape shall consist of high quality optical glass spheres embedded into weather and traffic resistant binder on a conformable metallic backing, precoated with a pressure sensitive adhesive. 1. Color: White and Yellow colors shall conform to ASTM D-6628-03 Standard Specification for Color or Pavement Marking Materials. 2. Reflectivity: The marking tape shall be retroreflective, reflecting white or yellow, and shall be readily visible when viewed with automobile headlights at night and shall have minimum reflective values as shown in Table 1 when measured in accordance with the photometric testing procedures of ASTM Test Method E 1710. Reflective values shall be expressed as coefficient of retroreflected luminance (RI) in millicandelas per square metre per lux. 3. Thickness: Thickness of Engineer Grade tape shall be 20-25 mils and construction grade tape 15-20 mils. 4. Adhesive: The precoated pressure sensitive adhesive shall not require a protective liner nor activation procedures. 5.Application: The material shall adhere to clean, dry surface when applied in accordance with the manufacturer’s recommendations. Surface temperature should not be under 35 degrees F.
6.Conformability: The pavement marking tape shall be thin, flexible and readily conform to the texture of the pavement surface. 7. General: The pavement marking tape shall be of good appearance, free from cracksm with true straight edges, and unbroken. There shall be no more than 2 splices per 50-yard length. It should be stored in a clean dry area at temperatures not exceeding 100 degrees F. Storage periods of 12 months shall not adversely affect performance. Packaging shall be in accordance with aceptable commercial standards.